Goodbye 2010, Happy New Year 2011! Every year, the New Year’s Eve fireworks at Taiwan’s landmark skyscraper Taipei 101 are among the world’s most spectacular. This year, they were particularly lavish, as 2011 marks the 100th anniversary of the founding of the Republic of China. The „ROC“ is the state that governs Taiwan since 1945. At 508 meters, the Taipei 101 is the world’s second tallest building. 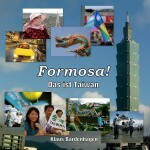 To learn more about my reporting from Taiwan, go to taiwanreporter.com. Also check out the awesome videos at crisisoflife.net to find out how to save the wonders of the living world.